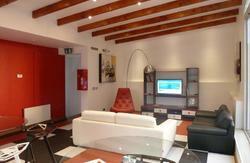 This is Ventana Sur Hostal, a new place in a beautifully renovated old town house. It is for travellers who want to share with others in a decent atmosphere... Wed like to cut the ways short for you to see the interesting and experience the exiting and original that this South American Metropolis has to offer. 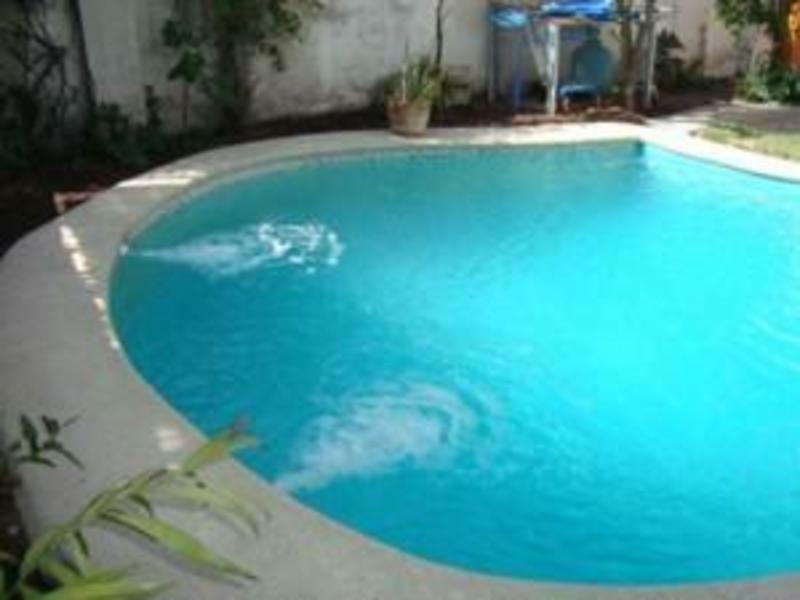 Ventana Sur is located a few blocks from Metro St. Isabel, next to Bustamante Park in Providencia. 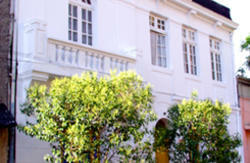 Walk to any major tourist attraction (Bellavista, St. Cristobal, St. Lucia) in a matter of minutes. It is a very safe neighborhood, and Restaurants and Bars are all around. And still it feels like being in the countryside, because our patio is green and you can relax outside next to the pool. Meet other travellers and get a taste of Chile at our Asados (Barbecues) every Friday night. Get the best tips to go out from Ivan. Our Special: We organize trips to special locations that you wont find anywhere else. Our staff will show you some of the best spots in nature, culture and city life if you let them. From Central Bus Station (Estacion Central and San Borja): Take the Metro to Station Baquedano, change to Green line direction Vincente Valdes and get off 2 stations later at St. Isabel. Walk out to St. Isabel, take the second on the left (Emilio Vaisse) and then the second on the right (Claudio Arrau) there you are. From the Airport: Take the bus to Estacion Central or San Borja (the cheapest way is with the green Tur Bus. From there follow the description above.